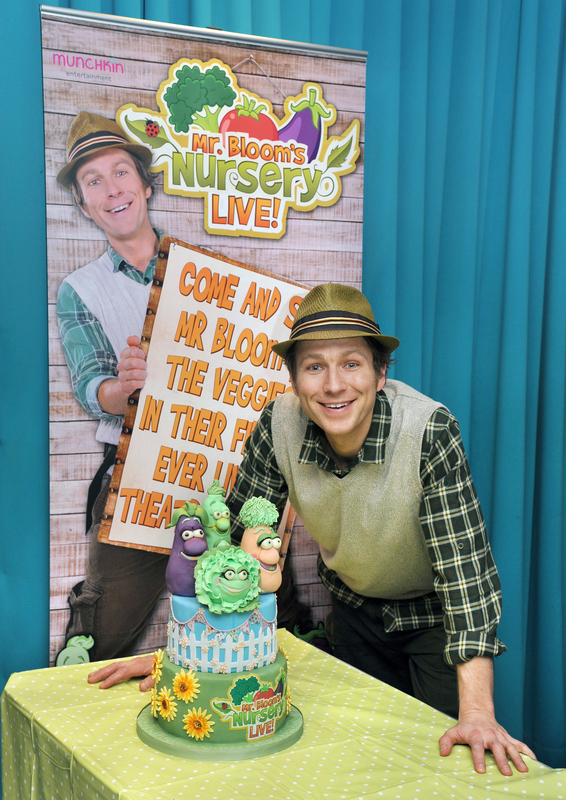 Mr Bloom’s Nursery Live Review! 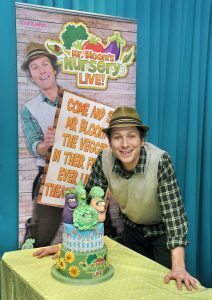 I obviously jumped at the chance immediately when we were offered tickets to go and see Mr Bloom’s Nursery Live. I knew how much Lola would benefit from going! 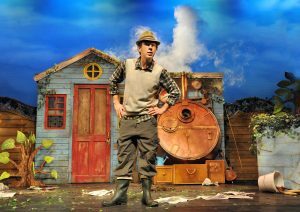 It had nothing to do with the fact it was Mother’s Day and I very much wanted to see Ben Faulks aka Mr Bloom! Munchkin Entertainment Ltd produce the show who are a new production company focusing on theatre entertainment for children! 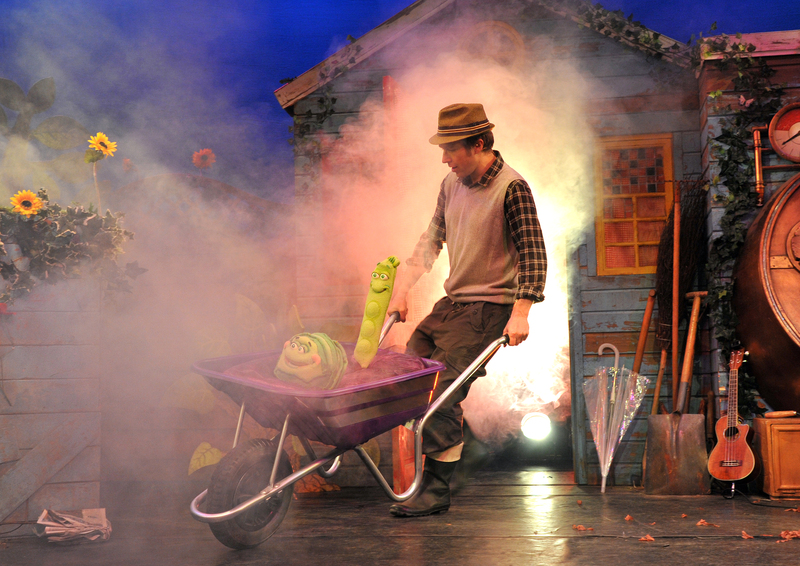 Mr Bloom and his Veggies are currently touring the UK for the first time, traveling until the end of April!. We went along to The Orchard Theatre in Dartford this afternoon to see it. There are still tickets available for all the performances tomorrow (27th March). Lola absolutely loves Mr Bloom Here and There on CBeebies and she certainly recognises Mr Bloom. She’s not really seen Mr Bloom’s Nursery so this was a whole new experience for her! Lola thoroughly enjoyed the show! She absolutely loved all the songs and that Mr Bloom encourages all the children to stand up and dance! Lola was clapping along to all the songs and watching the other children dancing. At one point she was wiggling like a worm as instructed by Mr Bloom and she was so excited she nearly fell off my lap! I was very happy, as he also sings the theme tune to Here and There at the beginning of the show (which I know word for word). The show is based on the preparation for a visit from King Edward (Potato). Mr Bloom asks from help from all the Tiddlers to prepare and remember what needs doing! It includes all the popular songs from Mr Bloom’s Nursery, and although we didn’t know them it was easy to soon pick up! They recommend the show is suitable for children that watch CBeebies. Although Lola was one of the younger children there she enjoyed it just as much as the older children. There are two parts to the show. Each half lasts 30 minutes with a 20 minute interval. This was brilliant as it certainly kept Lola’s attention! I noticed some of the other children in the audience getting a bit fidgety towards the end of the first half so I know it will have been brilliant for them as well. If we get the chance to then we will certainly be going again to see Mr Bloom! 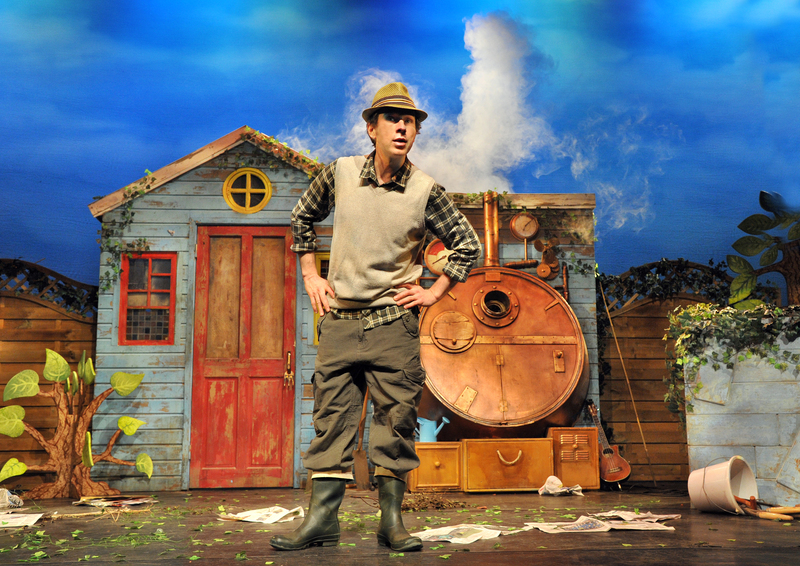 Don’t forget to go and check out where Mr Bloom will be next with the Veggies! ← Lola’s 14 month Update!